Bee on the flower. Small useful insect is working and making honey. 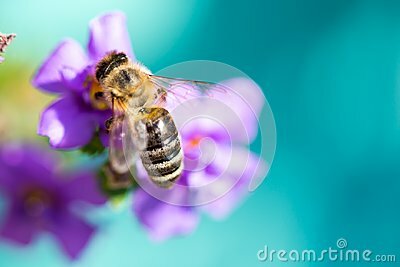 Honeybee with wing on the blossom. Spring at countryside of meadow.